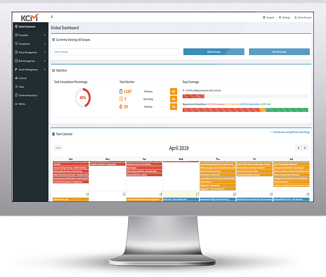 Reduce the amount of time and money required to easily manage your compliance, risk, and audit requirements. Automate reminders so you can quickly see what tasks have been completed, not met, and are past due, and your users can stay ahead of any gaps in compliance. Simplify risk management with an intuitive interface simple workflow based on the well-recognized NIST 800-30. Efficiently manage your third-party vendor risk requirements to prequalify, assess, and remediate to continually monitor vendor risk. Quickly implement compliance and risk assessment processes using KnowBe4's pre-built requirements and assessment templates for the most widely used regulations.